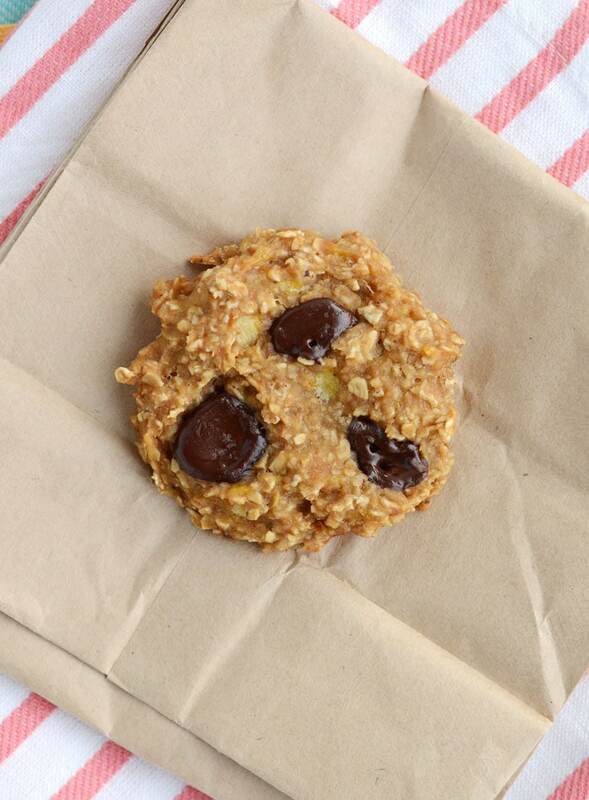 Healthy Vegan Snacks for Road Trips (or Anytime!) | 14 yummy ideas! I just returned home from a trip over to Tofino on the west coast of Vancouver Island. It’s about a 7 hour trip each way, so I packed a cooler few healthy vegan snacks for the road. I planned to keep my healthy habits up during travel time so I can enjoy some drinks and good food in the evenings. Although you may be tempted to stop at a gas station for typical road trip junk food, there are plenty of healthy vegan snacks you can bring along that won’t leave you feeling unsatisfied like nutritionally-void junk. In addition to your snacks, make sure to bring a few full stainless-steel or glass water bottles. I like to add lemon slices to mine, not only for extra flavour but it also packs a nutritional punch of vitamin C and other health benefits. I like Vega Sugar-Free Hydrator and Nuun Hydration tabs too. If you like something bubbly you can always drink soda water with lemon or lime added as an alternative to soda. If you do love soda you can add a cans of Zevia into the cooler. I’ve listed 14 easy and healthy vegan snacks here for you. Some of these have recipes included, others are whole foods than just be enjoyed all their simple glory. They’re all plant-based and they are all most definitely delicious! These healthy vegan snacks will help you drive right by that gas station and save your indulgences for the good stuff! 1. Ants on a log. My favourite ants on a log variety is celery topped with almond butter and goji berries. The classic natural peanut butter and raisins is always delicious, but you can also try cashew butter and cranberries or hazelnut butter and dried cherries. Make up some sticks before you go and pack them in Tupperwear for delicious and fun healthy snacks for the road. 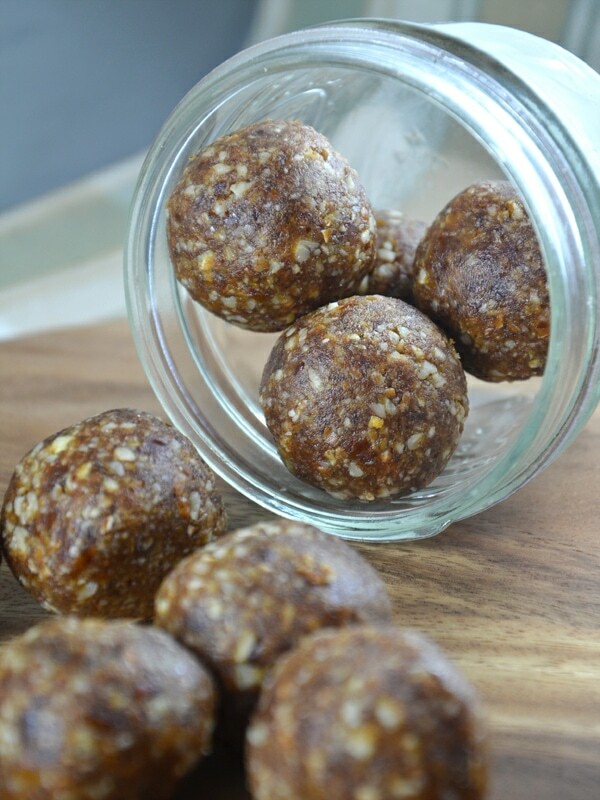 These yummy and nutritious treats aren’t just for kids! Try it with goji berries! My favourite fruit for road trips is grapes. The perfect grape is crisp and sweet, the perfect substitution for sugar-laden and artificially-flavoured candy. You may think you’re just dying for a bag of Skittles or MnM’s, but once you start munching on some grapes that will pass and your body will thank you for it! Being great on-the-go, bananas and apples are also great road trip options. If you’re opting for dried fruit make sure you choose an unsweetened variety and keep an eye on your serving sizes. 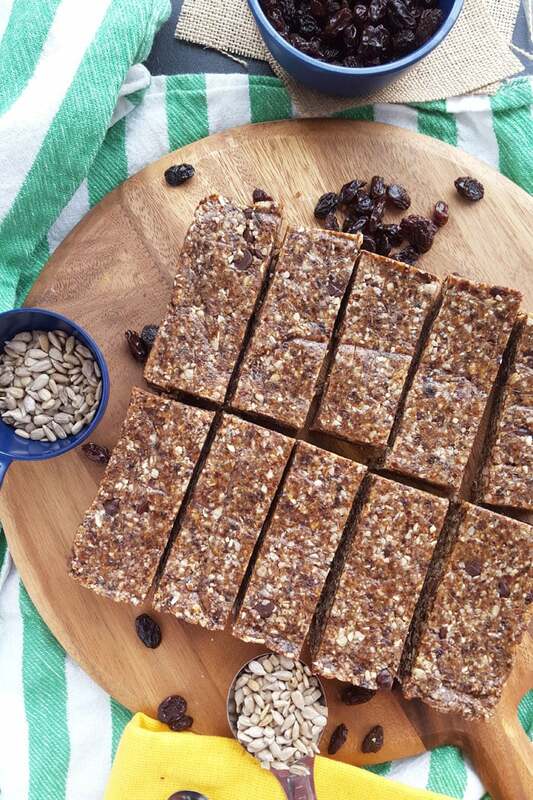 Granola bars are really easy to make at home and offer a much healthier alternative to most bars found in airports and gas stations. 4. Homemade hummus with raw veggies, crackers or pita. This might not be the best snack for the driver, but if you’re riding shot-gun, dip away! This is an excellent, nutritionally balanced snack that will satisfy that lingering chip craving. Make a batch of homemade hummus before you head out and add it to the cooler along with a ton of fresh, chopped raw veggies. 5. Healthy wraps or sandwiches. Who doesn’t love a big, wholesome sandwich on fresh bread? It’s some of the best comfort food there is. However, pre-packaged sandwiches typically found in gas stations wouldn’t be my first choice and I’ve yet to see a vegetarian or vegan sandwich available. 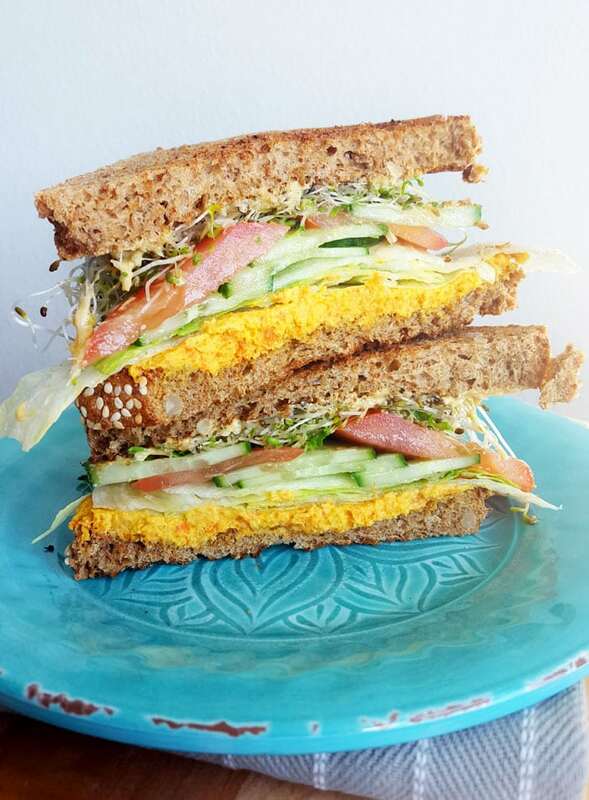 My favourite vegan sandwich is made on Squirrely Organic Sprouted Grain Bread and is packed with cucumbers, red onion, avocado, mustard and a big helping of sprouts. Add in a layer of hummus too! You can also stuff these goodies into a Ezekiel Sprouted Grain Wrap for a more driver-friendly package. 6. Energy bites and bars. You guys already know I love my simple bite recipes. How could I not?? Ready in minutes with so many flavour varieties to try, they’re just about the easiest, yummiest, whole food snack there are! 7. 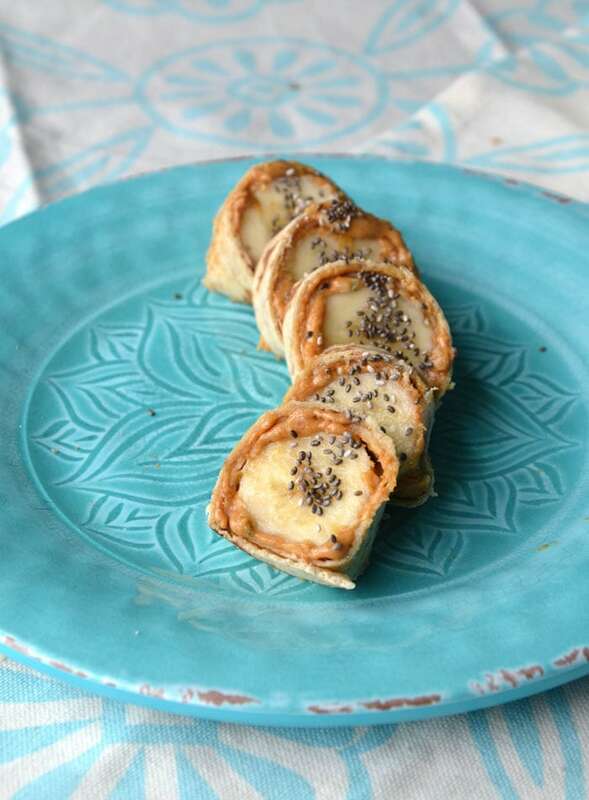 Almond butter and banana roll-ups. This easy snack is great for drivers, great for kids, and well, great for everybody!! Simply spread a sprouted grain wrap with almond butter or natural peanut butter and slice in a banana. You can also try sprinkling it with unsweetened coconut, cinnamon and hemp seeds for a serious nutritional-powerhouse snack! Did you know that bulk food trail mix is often coated in oil and full of sugar? Yuck! It’s so easy to make you own healthy trail mix varieties you could easy personalize a few different containers for picky eaters. Try a combination of shredded coconut, roasted chickpeas, a few different nuts and dried cherries, or for a little more inspiration any of the following recipes make a great choice! 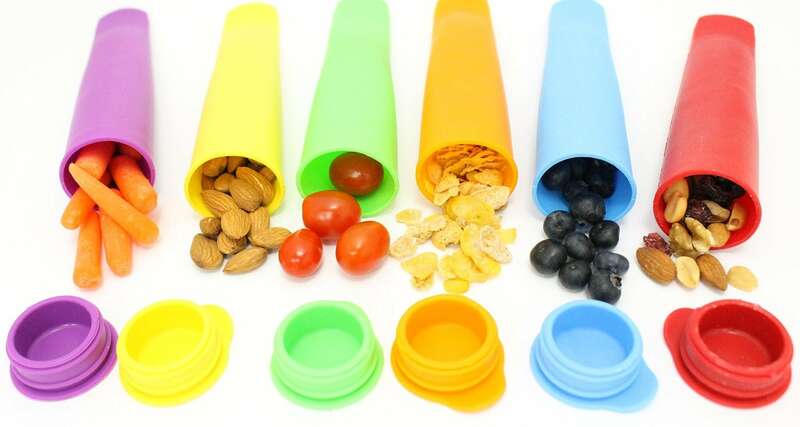 Pack your nuts, seeds and trail mix in these super fun travel containers! Buy them on Amazon. What’s a road trip without cookies, am I right? Just make them homemade, wholesome ones and you’re good to go! I betcha can’t eat just one! I definitely can’t. I can easily but back a few handfuls, thank you very much! These are an amazing alternatives to high-fat chips and other packaged crunchy snacks. Plus you can go sweet, savoury, spicy, salty or whatever else your heart desires! No trip would be complete without some chocolate, am I right? I love making homemade chocolate and vegan truffles and if you keep them in your cooler they’d make a great treat for road trips! If I’m not making my own, I’d never leave without a couple of organic dark chocolate bars too because there’s nothing better than chocolate on vacation! I think it’s hand to have a few store-bought bars on hand in addition to your homemade snacks. Simply Protein Bars are my favourite store-bought vegan protein bar. They’re low in sugar, high in fibre, gluten-free and pack 15 grams of protein into just 150 calories, and they taste great. My favourite flavours are Cocoa Raspberry and Chocolate Caramel Peanut but all the flavours are good! Delicious, nourishing, energizing. Chia seed pudding makes a great travel snack. Check out these 15 Amazing Chia Seed Pudding Recipes to get the ideas flowing! 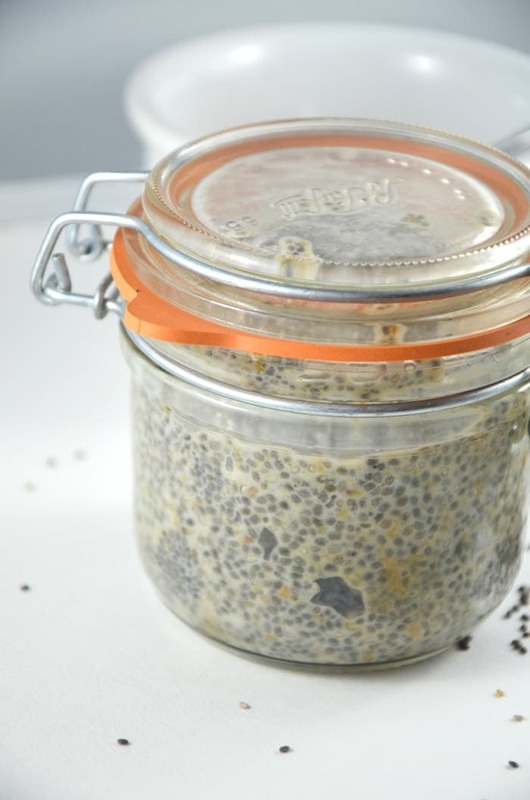 Add a few of these jars to your collection to make chia seed pudding on-the-go a breeze. Muffins are a great travel snack and can be made about as healthy or as decadent as you feel like. Here are a few recipe suggestion that lean more towards the healthy side! I hope this list of healthy vegan snacks helps make your next road trip a delicious one! With a little preparation, a lot of music and great company, road trips can be a fun and enjoyable experience without the need to break your healthy eating habits. I use my 6-Pack Fitness Innovator Bag for travelling, which I love. You can find them on Amazon here. They make healthy travel easy, convenient and they look great too. Pin the graphic below so you’re all set for summer adventures, winter escapes or anytime you need healthy vegan snacks on stand-by! These all look great! I am hoping to go to Tofino soon. Would love a post on what you do there! Oh, it’s so awesome out there! We surfed a lot, there is great hiking too. It depends if you go in the summer or winter as far as what you can do. I just enjoy being cozy in the cabin, beachcombing, drinking wine and watching the waves from the hot tub! I am just like you when I travel 🙂 It really is super easy to be healthy on-the-go, as you said, just with some preparation. I even brought NCN brown rice powder on my travels! From your instagram, looks like you had a beautiful trip. I need to make my way over to your side of our country. Hope things have been well friend! It’s kind of new to me to be healthier on trips, I used to go all-out and just eat whatever, but you end up feeling so crappy by the time you get home! Healthy is the way to go to feel good for the trip AND when you return home! Thanks for sharing my homemade trail mix! This is a great list–especially since I’m packing for a trip today! You’re so welcome! I love your blog, thanks for the great recipe! Thanks for sharing my chickpeas in this wonderful list! Great collection! I also like adding lemon slices to my water. I sometimes throw in some cucumber slices too for more added nutrition. Oh my god THANK YOU SO MUCH, YOU SAVED ME!! Really, thanks for sharing with us and even linkng the recipes!! Grrreat ideas – especially for those that may be new to PB eating. For this reason, I have shared the link with my FB group “Super Quick Plant Based Recipes” https://www.facebook.com/SuperQuickPBRecipes/ Thank you so much! Thanks Deryn for these great ideas! I have shared this link on my FB site “Super Quick Plant-Based Recipes” https://www.facebook.com/SuperQuickPBRecipes/ where I post recipes and ideas for PB meals that you can prepare in 20 min. or less (many take only 5-10 min.) My group will LOVE your ideas and your site!